For many people, thinking of bubblegum is going evoke many childhood memories. It’s an easy thing to get nostalgic about. Do you have any memories of visiting the candy store for your favorite – the classic Wrigley chewing gum, maybe, or Juicy Fruit? Or maybe your brand was Bazooka, or Bubble Tape? And then there’s the fun of chewing and playing with gum. What about competing with friends to see who could blow the biggest bubble? Or using those intense cinnamon or mint flavors to freshen up your breath — and maybe even make a good impression on a first date? Although most of our familiarity and joy with bubblegum comes from our childhood bubble-popping days — and now to mainly freshen breath — the history of gum is actually incredibly extensive — and fascinating. Dating as far back as the Neolithic period in 6,000 B.C., traces of chewing gum have been found in in Finland in the form of birch bark tar, which was believed to have antiseptic characteristics. Some other early types of chewing gum have been dated back to ancient Greece, with Greeks chewing gum made from the resin of mastic from the mastic tree. Ancient Mayan and Aztec civilizations also chewed a gum-like substance as way to quench thirst and hunger — a method many dieters actually still use today. And our hometown, Chicago, has played a big part in chewing gum history itself. Chicago icon William Wrigley Jr., who started as a soap salesman, one day began adding special products with store purchases — like packs of gum. In 1893, he launched two new brands, Juicy Fruit and Wrigley’s Spearmint, and the rest, as they say, is history. Chomping down on a stick of Wrigley gum at Wrigley field with the kids this summer — what could be more Chicago than that? As fun and delicious as bubblegum can be, it’s also known for another thing: Leaving a hard, sticky mess. 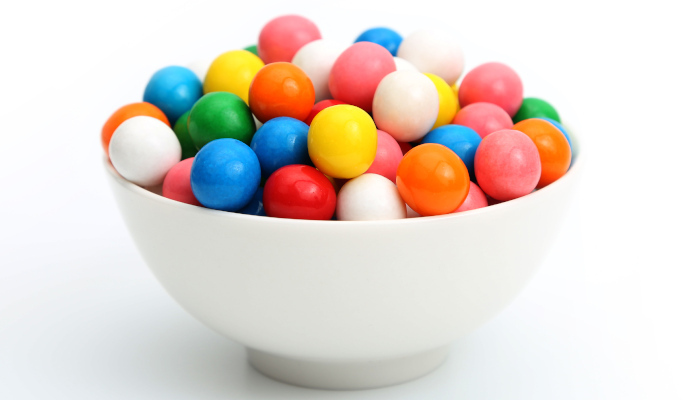 Gum can end up in unsavory places, like getting caught under tables and bar stools. There’s very little worse than getting a nasty wad of gum stuck in your hair or to your favorite pair of pants. It’s one of a parent’s worst nightmares, caring for your little munchkins when they get off the playground, with a sticky pink ball stuck to their hair or their brand new outfit. These gum-influenced messes may haunt you — and may make you very wary of letting your kids have bubble blowing contests. Fortunately, Sweeping Dimensions is here to help. With a little bit of ingenuity, you can clean off gum when it gets stuck to garments and surfaces, helping you get back to fresh breath and carefree fun. When you see a splotch of chewing gum where it doesn’t belong, your first instinct may be to panic. Once you’ve calmed down, though, you may remember some of the “old wives’ tales” you’ve heard, perhaps from your parents or grandparents. Believe it or not, some of the ideas you may have heard about cleaning gum aren’t as far-fetched as they may sound. Here are five common “hacks” for cleaning gum — that actually might work. After getting a pesky stick of gum stuck to your favorite piece of clothing, bag up the garment in a zip-close bag and place in the freezer. Give the garment at least one hour or even a day to totally freeze before removing it from the icebox. Once the garment is removed, a metal or plastic butter knife should work well to gently scrape the frozen gum off. Be sure to work diligently, but gently, careful to not cause damage to the garment at hand. If there’s still leftover gum residue, work to spot-clean the stain and launder as usual to complete the cleaning process as best you can. While using cold air hardens gum to make it easier to remove, you can also use the opposite tactic and try to soften it, by applying heat. Fortunately, you probably already have some powerful, yet gentle, heating tools on hand. For example, you can use your hair dryer or a hot iron to carefully soften the gum. Put on gloves to protect yourself from the heat, then use your fingers to gently pull or scrape the gum away. Just be careful! This process can result in some damage to the garment, and may make a bigger mess than you started with if you’re not careful. Proceed wisely. Want to get gum off of something soft? Why not give the garment or fabric a bath. Regular water may not do the trick, thought. Instead, doing a “sour soak” — or soaking the garment in lemon juice — can be effective. This method allows the textile to absorb the acids in the juice for awhile, until the gum becomes soft and loose, and can easily be scraped off. Be sure to wash the garment immediately after you apply lemon juice, to help get rid of any smells and avoid leaving any residue behind. True, thinking of using hairspray in a pinch may call up too many episodes of Toddlers & Tiaras. But the reality is that hairspray can also work as a helpful house agent, particularly when it comes to unwanted substances like chewing gum. This can be a good solution for harder surfaces, as well as fabrics. Spray a good amount on the spot and allow the spray to dry. 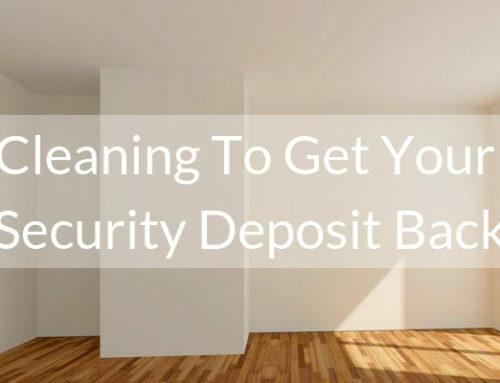 The gum will be easier to scrape away with a tool (like a butter knife) once it hardens. Be sure to rinse and spot-clean after to get rid of any extra residue. No, we’re not just fantasizing about lunch here. You read that right. Skip the extra mayo on your sandwich and use a dollop to remove that annoying piece of gum. The oils and acids in the mayonnaise can help break down the gum and loosen it, making it easier to peel and scrape away (again, a butter knife or another gentle tool can help do the trick). Even with the best tips and hacks in your back pocket, sometimes, you need to call in the reinforcements. 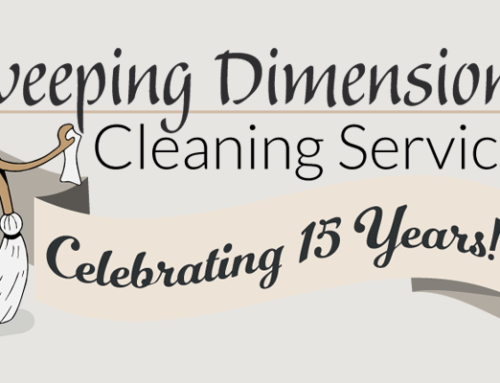 That’s where Sweeping Dimensions Cleaning Service would love to step in and take action. Here at SDCS, we make it our job to keep your home or workplace clean and tidy, helping with those hard-to-clean situations that may take some extra time and effort to tend to. 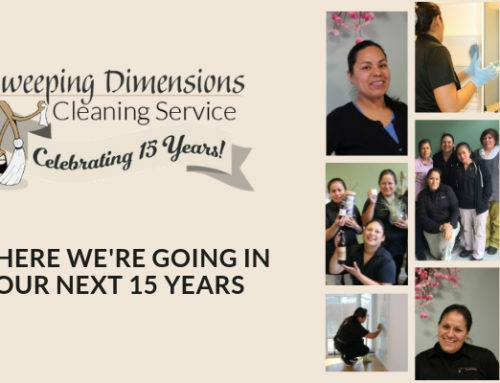 If you’re looking for a team of cleaning experts to help refresh and reinvigorate your space, Sweeping Dimensions has you covered. Our teams of professionally trained cleaners offer flexible time windows, diligent attention to detail, and can bring all of the cleaning products necessary to clean your home, with an emphasis on green, environmentally friendly materials.